This is a smaller version of our very own "EXCALIBUR"...King Arthur comes with 12 of the best quality canister shells on the market and bundled with high-density polyethylene (HDPE) tubes. 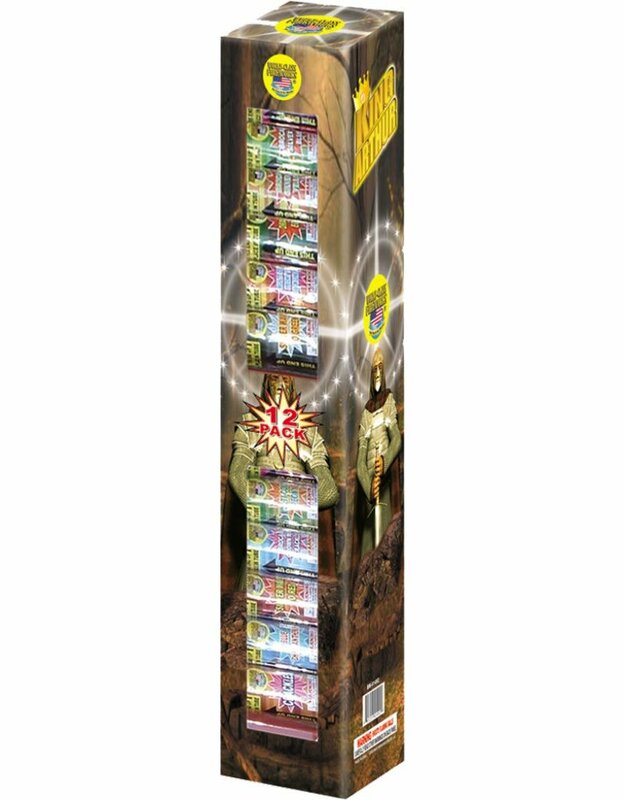 Please note these are the same shells as the Excalibur kit, that we are now offering in a 12 pack variety. This shell kit comes with 12 high powered canister break artillery shells and effects may include: Jumbo red dahlia, green glittering with crackles, red and silver peony, jumbo crackling, silver crackling palm, jumbo silver chrysanthemum, silver palm with crackling, jumbo brocade crown, golden willow with crackling, jumbo green chrysanthemum, brocade silver to green whirlwind, jumbo crackling.